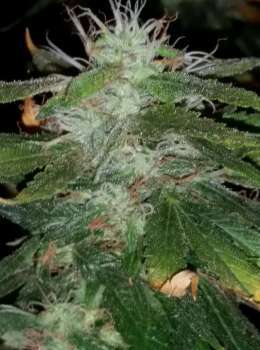 Here you can find a strain description about Pauls Blackberry Fire and also some user-based reviews and infos directly from the SeedFinder (if available). You can also find the offers and auctions here if Pauls Blackberry Fire cannabis seeds are on stock at MyCannapot right now. Pauls Blackberry Fire F4 (Blackberry Diesel x Pauls Purple Fire) An accident in the grow room brought us this wonderous beauty. Pauls Blackberry Fire is a heavy indica high with couch lock. Another terrific new addition to Paul’s top shelf strains, it has a very strong diesel/berry fire smell and and excellent taste as well. Pauls Blackberry Fire does very well indoors or outdoors and is heavy yielding very potent strain either way. Excellent meds for anxiety, pain, stress, insomnia or nausea. Also good for PTSD, ADD and ADHD. Flowering period is 8 to 9 weeks. Buy Pauls Blackberry Fire now at MyCannapot! There are no actual running auctions for Pauls Blackberry Fire right now.